Dr. Smith offers more than 10 years of applied health care industry leadership work experience, with a focus in health care clinical workforce administration, which is summarized below. His current role is with Mercy Health of Ohio and Kentucky, which is the largest health care organization in Ohio with over 35k employees. He currently has a Senior Director-level role with the organization in which I oversee nearly all aspects of the clinical workforce, including mergers and acquisitions, clinical productivity oversight, strategic growth of service lines, domestic utilization of services, and other aspects of physician and advanced practice practitioner administration. In this role, he oversees two others in the organization. He also currently owns and operates Averest Consulting, LLC, in which he provides clinical workforce and strategic clinical guidance to health care organizations. 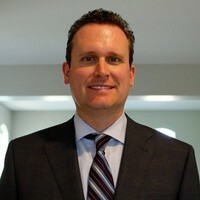 Prior to Mercy Health, Dr. Smith worked for Banner Health in Arizona as a “data scientist” in which he mostly focused on managing the administrative aspects of the clinical workforce, but also provided analytical insights into clinical quality and the integration of the clinical workforce across a continuum of clinical services. Prior to Banner Health, starting in 2008, he was in an actuarial role for Arizona’s largest workers’ compensation company. In this role, he oversaw health care claims utilization and also the pricing of health care-related workers’ compensation health care premiums. In addition to these applied health care workplace roles, he also has taught various levels of statistics, research, and content courses for several institutions since 2005. Also, for three years, he served as the Director of Research Quality and Analytics, overseeing all aspects of doctoral research for a very large doctorate granting institution. He also was the lead subject matter expert during the creation of a new undergraduate actuarial degree program at a U.S. university. He has the MBA in Management and PhD from Arizona State University. His cross-disciplinary dissertation focused on transactional ethics in the Latin American region. Smith, D. J. (2014). Modeling Insurance Reserving Errors. Casualty Actuaries of the Desert Southwest Conference. Smith, D. J. (2015). Premier Academy: Using Premier Quality Advisor Data to Measure the Effectiveness of a Sepsis Alert Algorithm. Banner Health.